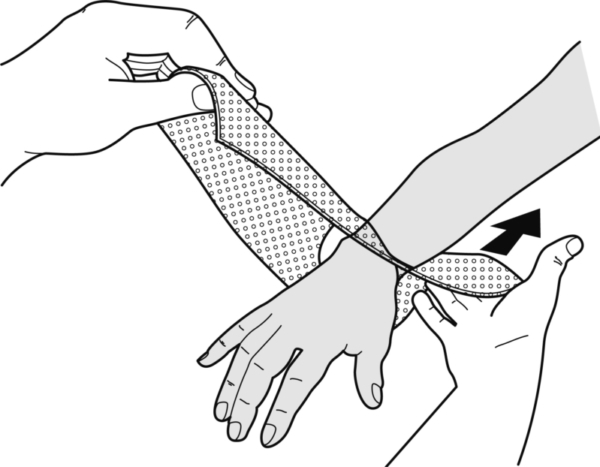 Slide the shortest piece of the pattern on the volar aspect over the arm until it lies directly above the olecranon. 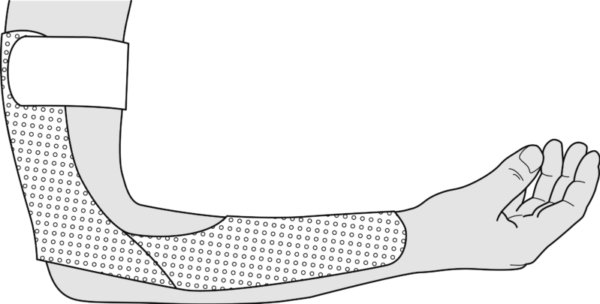 Adjust the shape to fit the arm and forearm and mark the location of the creases (dotted lines) for the sake of convenience. 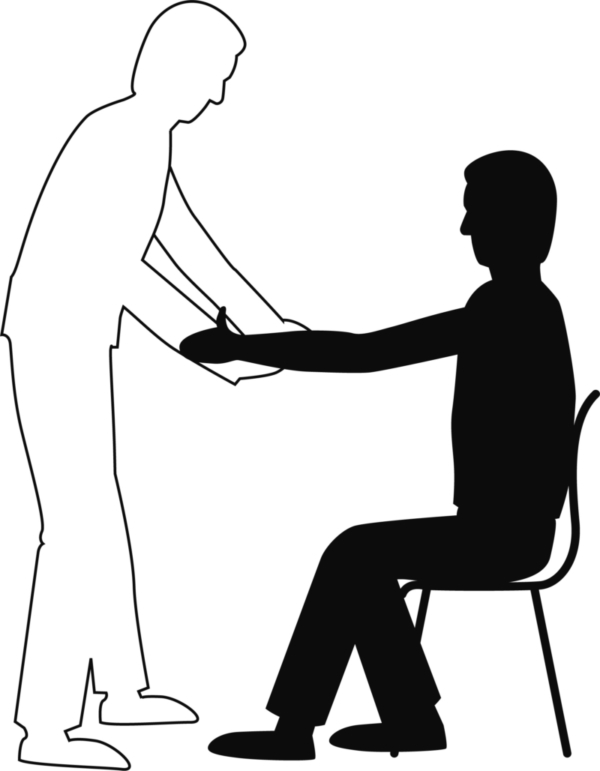 Fold the lateral wings one after the other towards the palm and press them together to make them stick. Hold the final position until the material has hardened. 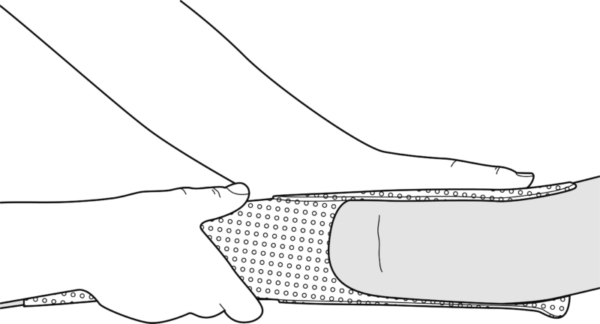 Finishing: Cut the palmar edge at a reasonable distance from the elbow flexion crease and pad the distal portion. 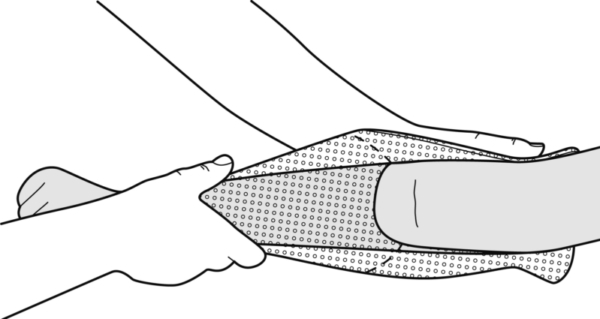 – One very broad strap at the proximal end. 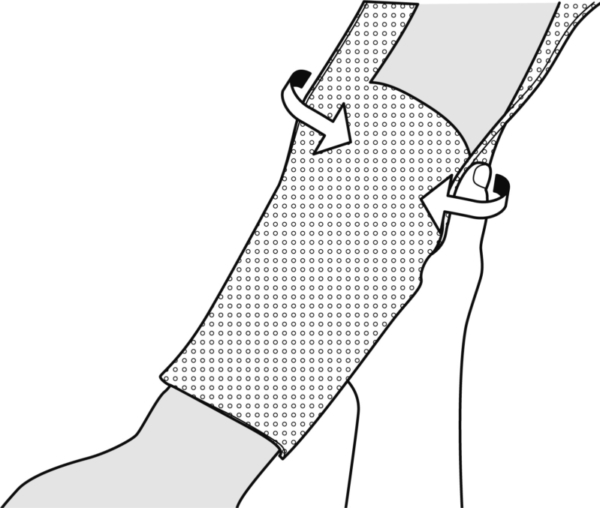 – Optionally, 1 narrow strap around the wrist.